I am seeing a trend with these mid century advertisements from Pepsi. They really loved the word "debonair". 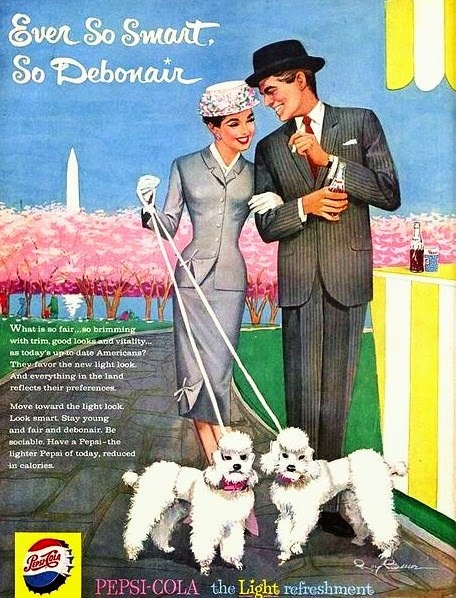 Plus the poodles are a great addition to any print ad!